One of my favorite Holidays of the year, Easter. I love to spend time with family, go to church, and have our own little Easter egg hunt in our backyard. 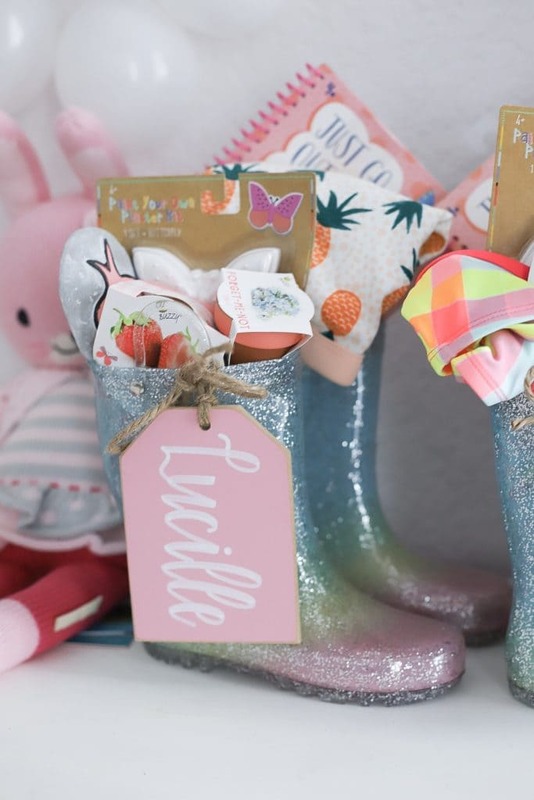 I also love to curated little Easter gifts to show my girls how much I love them. Each year they are a little different. I have done one for when they are babies, and then a pool/swimming theme, and this year we are doing a gardening theme. 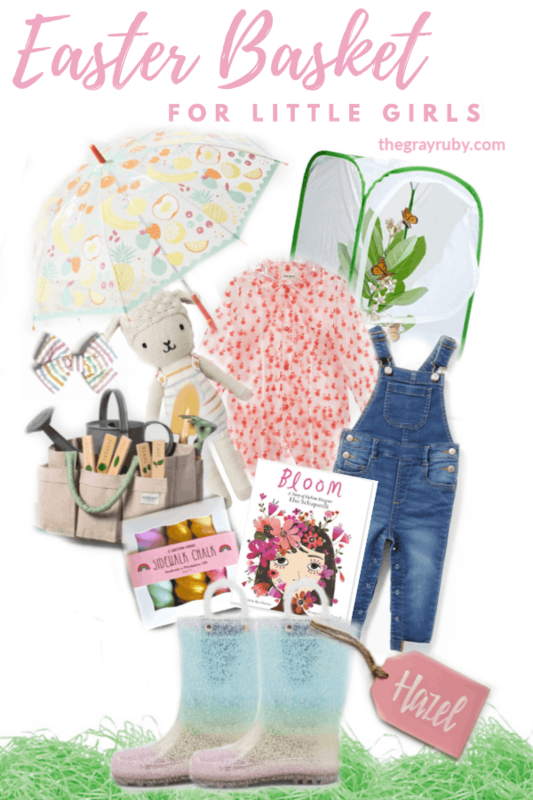 Here are some of my favorite picks for an Easter Basket for little girls. This Easter Basket for little girls was so fun for me to create. 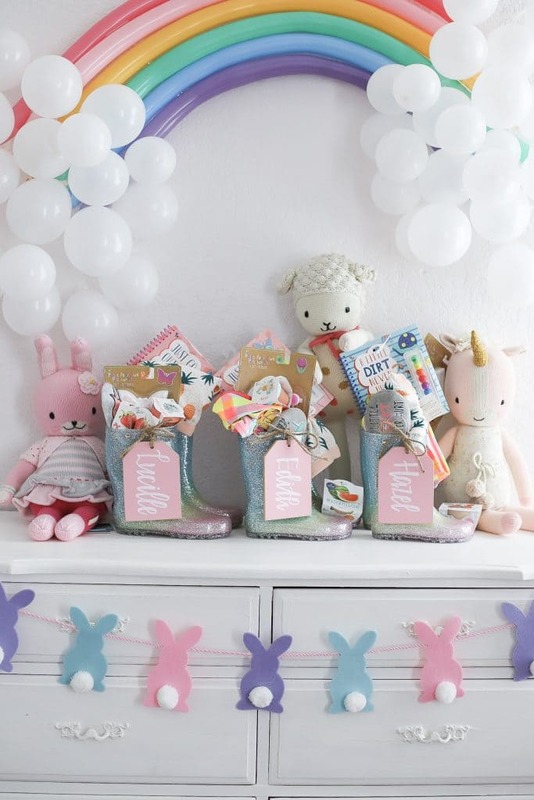 Easter is the perfect time for us to really spend a lot of time outside so I thought what better way than to get my girls little gifts that promote that. I started off with an unconventional “basket” and used a pair of rain boots to stuff all the goodies in. Some of the larger items sitting next to the boots. Everything from the adorable customized name tag to the Butterfly kit is an item we have and absolutely love. Of course we had to throw in our favorite bows too. 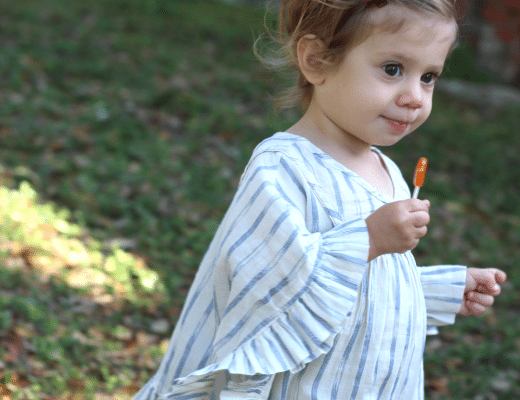 Use this slider below to shop the items in our basket and few other cute gardening ideas I loved. Just as a reminder, when you see links on my site, those are affiliate links, and when you purchase from those links I make a small profit. The little bit of commission I make helps me to keep creating great content for you. 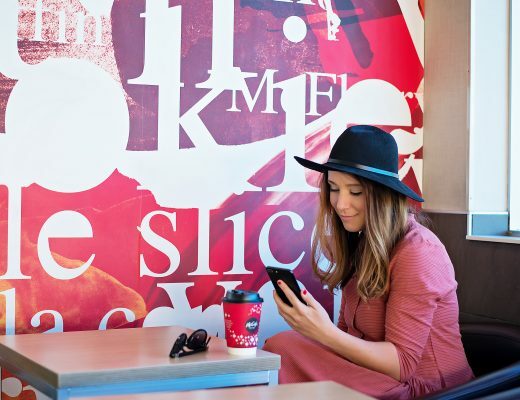 I take a lot of pride in endorsing products I love and I share these items with hopes you will love them too. Thank you for supporting us by using these links. Do you create a themed Easter Basket for your kids? What have been some of their favorite items? I would love to read about them in the comments below. Thank you for reading and allowing me to share my favorite items for an Easter Basket for little girls. 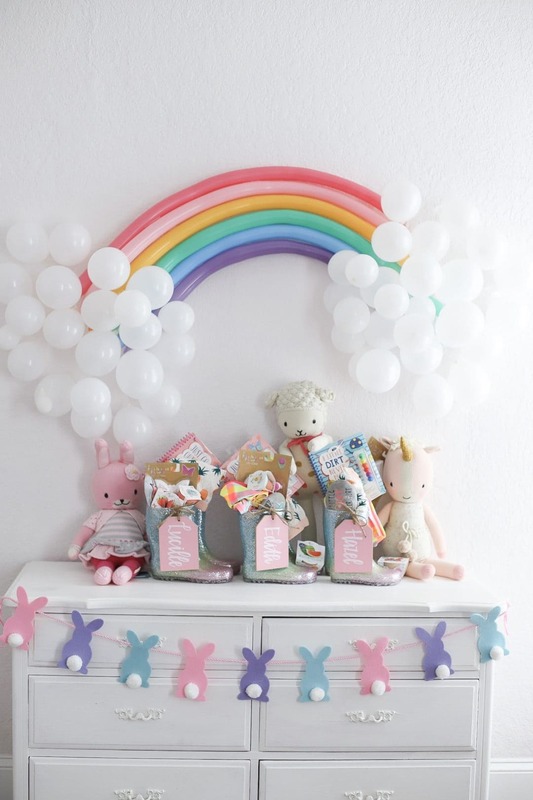 I just posted a blog on Easter basket ideas as well, but I’m obsessed with those rainbow boots! Such a cute find !